Who Said “I Think Therefore I Am”? The famous French philosopher and mathematician René Descartes (1596-1650), known as the Father of Modern Philosophy, declared "I think therefore I am." Much of his work attempted to defy skepticism, a prominent ideology for the French intellectuals of the day. In addition, much of his philosophical thinking lead him to speculate about the connection between the mind and the body, which is what this quote focuses upon. Descartes: "I Think Therefore I Am"
Descartes was dissatisfied with the scholastic philosophers of his time. He wanted a fresh look on philosophy and developed his own method of radical doubt. The cogito argument is what Descartes used as the basis of this method to discover whether our beliefs were to be trusted, which led him to the conclusion "I think, therefore I am." In his work Discourse on the Method of Rightly Conducting One's Reason and of Seeking Truth in the Sciences published in 1637 Descartes sets up his method of inquiry starting with the influential precept that he was "never to accept anything for true which I did not clearly know to be such." In part IV, he begins to build his theory beginning with the three things that he knows to be free of doubt-doubt is based on reason, reason says a God has to exist, and, of course, there has to be something to do the doubting. But I observed that, while I was thus resolved to feign that everything was false, I who thought must of necessity be somewhat; and remarking this truth-I think, therefore I am-was so firm and so assured that all the most extravagant suppositions of the sceptics [sic] were unable to shake it. I judged that I could unhesitatingly accept it as the first principle of the philosophy I was seeking. I could feign that there was no world, I could not feign that I did not exist. Senses can lie or manipulate but to know doubt is to have thoughts and thoughts lead to existence. Descartes reiterates the point in Meditations on First Philosophy (1641). The book contains six "Meditations" that consider what is real by first doubting everything known to be true. The following passage is taken from "Meditation II" and is an example of him again questioning existence and confirming that something has to exist to do the thinking. I have convinced myself that there is nothing in the world - no sky, no earth, no minds, no bodies. Doesn't it follow that I don't exist? No, surely, I must exist if it's me who is convinced of something. But there is a deceiver, supremely powerful and cunning whose aim is to see that I am always deceived. But surely, I exist, if I am deceived. Let him deceive me all he can, he will never make it the case that I am nothing while I think that I am something. Rene Descartes walks into a bar and proceeds to order many drinks. The bartender says to him a while later, seeing he is completely intoxicated, "I think you've had enough." Descartes slurs, "I think not!" Then he disappears. This famous line has been praised and critiqued since it was first published and is still used in teaching philosophy today. In 2010, author Lesley Levene wrote a book titled I Think, Therefore I Am: All the Philosophy You Need to Know. The book explains the world of philosophy and how it originated. The title shows that Descartes' quote is still relevant today in provoking thoughts and reinforcing the concept that when you are thinking, you are existing. 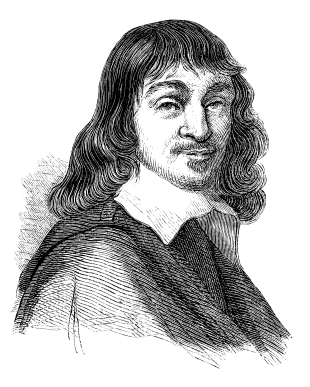 Rene Descartes only believed in mathematics and reason. He set out to develop the proper path to deductive reasoning, which he believed was all that stood between him and defeating skepticism, and became one of the most influential philosophers in history. Discourse on the Method and this simple statement- easy to remember and understand-revolutionized philosophy, setting the foundations for modern philosophers to build on, and is why it is still repeated today. It is reassuring to know that while many things can be doubted the fact that you exist is not one of them. "Who Said “I Think Therefore I Am”?." YourDictionary, n.d. Web. 20 April 2019. <https://quotes.yourdictionary.com/articles/who-said-i-think-therefore-i-am.html>.